At this time of year when family traditions run deep, the holidays are especially difficult for foster children. For this reason, Family Programs Hawaii and our community partners have presented The Annual Holiday Party for Foster Keiki for the past 20 years. 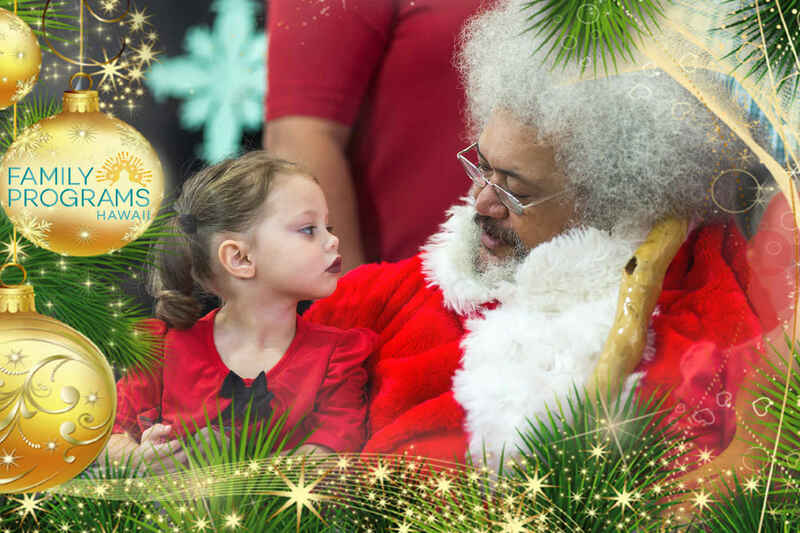 On this magical day, over 1,500 foster children and the families who care for them gather for a delicious holiday meal, entertainment, activities, and a visit from Santa who brings personalized gifts for children. I am donating as a Christmas gift to my son and daughter in law. Kids cannot have enough caring adults in their lives, thank you, FPHI for making a difference for so many!